What does it mean to be a Muslim – in this world, in this deeply transformative time? Hamid Dabashi ask this seminal question anew, in the context of what he proposes is a post-Western world where the “Islam and the West” binary is collapsing and where “the West,” as a construct, no longer holds the same normative hegemony. Against the grain of more than two hundred years of colonialism and self-alienation, Islam remains not just a world religion but a worldly religion – one that has always been conscious of itself in successive imperial settings. With the rise of European and then American imperial adventures, Muslims have been on the receiving end of other worldly empires that have forced them into a self-alienating dialogue. 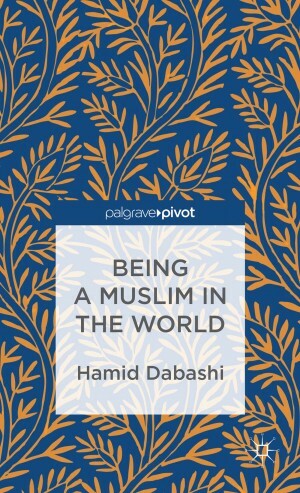 Dabashi argues that the urgent task facing contemporary Muslims is to bring their worlds to self-consciousness beyond the self-alienating encounter with European colonial modernity and in the context of the new worldliness that Muslims (like all other people) face. This transition requires crafting a new language of critical conversation with Islam and its cosmopolitan heritage – a language that is tuned to the emerging, not the disappearing, world.